Care: Light Soil Industrial or Home Wash. 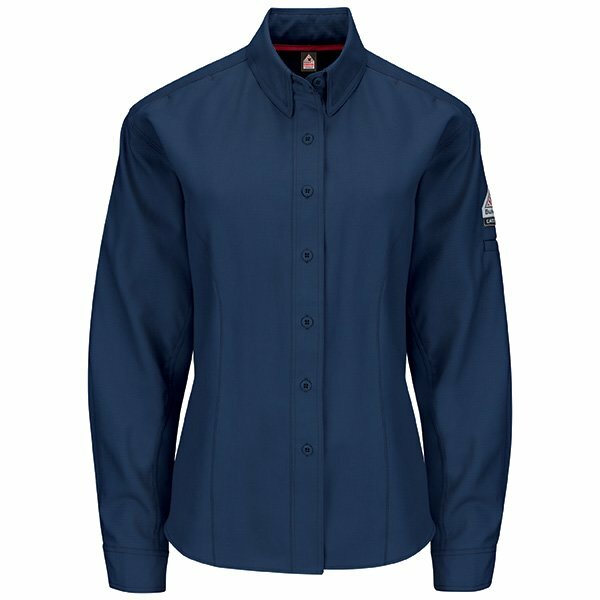 Fabric: Exclusively with Westex G2 fabrics by Milliken - Flame-resistant, 6.9 oz. 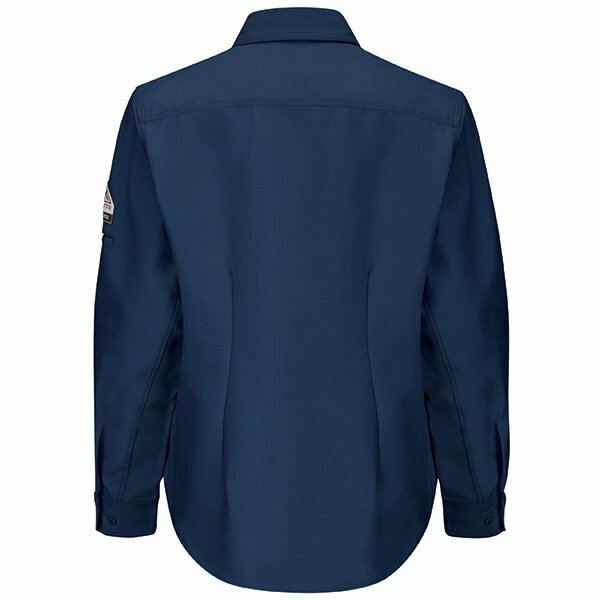 (235g/m2) Ripstop Twill, 65% Cotton / 35% Polyester. 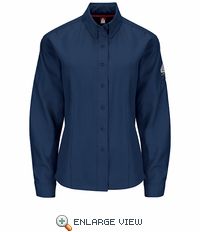 Banded, Topstitched collar with red trim at neck seam • Topstitched cuffs with button closures • Concealed sleeve pocket • Princess seams at front body for feminine fit • Gas monitor pocket at front shoulder • Full side seam gusset.